You are here: Home / Our annual report 2017 is out now! Do you want to know about our broad expertise or our regional experiences? Find out about the activities of Skat in international development cooperation in 2017 and get to know our team. Leave us a comment on facebook and share the report among your networks. 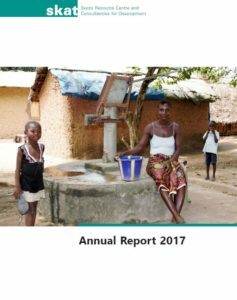 Download the annual report 2017 here.